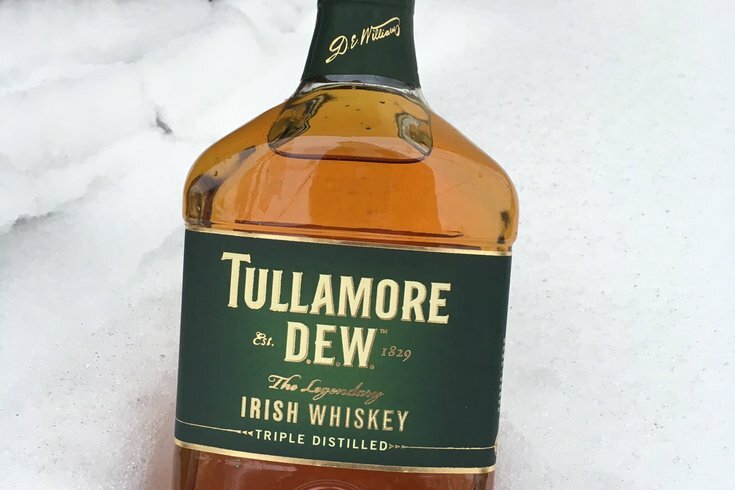 Taproom on 19th will serve Tullamore Dew shots for $5 on Tuesday, March 14. If you plan on venturing out in Philly today, maybe stop by one of these bars to warm up. Each is offering a snow day special. Thanks to the weather, there will be extended happy hours, deals on popular dishes, discounts on whiskey and a festive "Blizzard Bash" on Tuesday, March 14. Enjoy happy hour pricing from 11:30 a.m. to 7 p.m. at this craft beer bar. There will also be a special Snow Day food menu. Head to this bar for a deal on Tullamore Dew. Shots will be $5 each, all day. Taproom will open at 11 a.m. The bar is throwing a "Whiskey Disco Blizzard Bash," starting at 8 p.m. There will be $8 Old Fashioned cocktails, $5 Grey Goose cocktails and $6 bar snacks. Both Irish Pub locations in Center City will serve $3.50 Bud Lights, $5 Dog Tag Brewing lagers, $6 Lancaster Brewing Company Irish Red beers, $7.50 spicy bloody marys and $8 Irish coffees all day. From 5 p.m. to midnight, enjoy $5 salted caramel budinos, $10 margarita pizzas and a $10 pasta dish. Nashville hot chicken buns, crispy cheese curds and Chop Suey will be discounted from 5-11 p.m. Bottles of wine will be $25 from 5-10 p.m.
Beginning at 4 p.m., enjoy $5 nachos and $5 Feliz Margaritas. Head to this bar for half-priced margaritas and $5 nachos. The deal begins at 4 p.m.
$5 wines by the glass, starting at 4 p.m. Check back for updates and additions, or follow #OpeninPHL on Twitter.